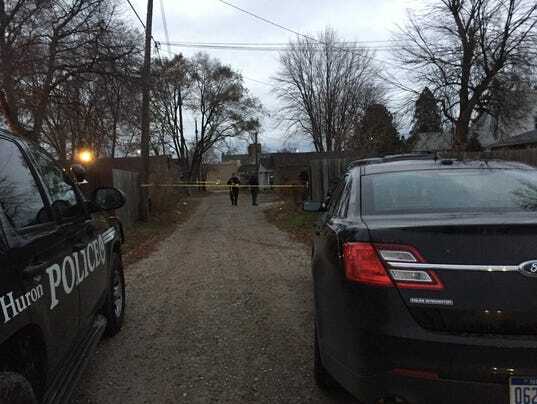 A 22-year-old Port Huron woman has died after a pit bull attack behind a 10th Street home, Port Huron police Lt. Scott Pike said. Police were called to 1721 10th St. shortly before 4:45 p.m. Thursday for reports of a dog attack. Rebecca Hardy was found in the back yard of a residence with extensive injuries to her face and neck, Pike said. She was taken to Lake Huron Medical Center and later flown to Beaumont Hospital. "It was horrific in terms of her injuries," Reaves said. Pike said a pit bull and a pit bull-husky mix were removed from the residence and taken to the St. Clair County Animal Control, where they were quarantined. Both dogs are believed to have been involved in the attack. Investigators believe Hardy entered the backyard of the home where the dogs were being kept, and was attacked there. The dog owner has not been taken into custody and is fully cooperative in the investigation, Pike said. Hardy’s death came a day after a 4-year-old boy was attacked and killed by four pit bulls in Detroit. MARSHALL NY - PIT BULL/SHAR PEI MIX ? 5. 2-15 - DONALD E. COX - 79 - NANTICOKE PA - THE ELDERLY MAN WAS SITTING ON HIS PORCH ON FEB. 15, 2015 WHEN A PIT BULL BEING WALKED ON A LEASH BY ITS OWNER RUSHED FORWARD AND ATTACKED HIS ARM AND BOTH HANDS - THE DOG WAS SUPPOSED TO HAVE ON A MUZZLE BECAUSE OF VICIOIUS PROPENSITIES FROM HAVING PREVIOUSLY ATTACKED PEOPLE AND OTHER ANIMALS - THE OWNER HAD REMOVED THE MUZZLE BECAUSE NO ONE WAS ON THE SIDEWALK AT THAT TIME - HIS LEFT HAND WAS CRUSHED WITH BROKEN BONES AND LOSS OF TISSUE AND HIS FINGER HAD TO BE AMPUTATED - HE LIVED LESS THAN 2 WEEKS AFTER THE ATTACK - HE DIED ON FEB 26, 2015. 6. 2-22 - TAY'LYNN DEVAUGHN, 2 - WEST MIFFLIN PA - MAULED TO DEATH BY HER AUNT'S BOYFRIEND'S PIT BULL INSIDE THE HOME WHERE SHE AND HER FATHER HAD BEEN STAYING FOR SEVERAL DAYS - SHE HAD BEEN AROUND THE PIT BULL PREVIOUSLY. 7. 3-8 - ROY HIGGINBOTHAM JR - 62 - WHEELING WV - AUTOPSY PENDING - A 3-YEAR-OLD FEMALE PIT BULL OWNED BY DAVID WALLACE, 63, POSSIBLY A ROOMMATE OF HIGGINBOTHAM, ATTACKED HIM WHEN HE TRIED TO GIVE AID TO WALLACE WHO MAY HAVE HAD A HEART ATTACK. WALLACE HAD OWNED THE MOTHER OF THIS PIT BULL SO HE HAD THIS DOG SINCE IT WAS BORN. AUTOPSY RESULTS SHOW THE VICTIM DIED FROM A SEVERED RADIAL ARTERY NEAR HIS LEFT WRIST. 9. 3-14- JULIA CHARGING WHIRLWIND - 49 - WHITE RIVER SD - ROSEBUD RESERVATION - MAULED TO DEATH BY AT LEAST 2 AND PROBABLY MORE STRAY DOGS - BREED UNKNOWN. 10. 3-21- DE'TRICK JOHNSON- 36 - JEFFERSON COUNTY AR - ATTACKED AND MAULED TO DEATH BY 7 PIT BULLS AS HE GOT OUT OF HIS CAR AT C.J. 'S GARAGE JUST OUTSIDE THE CITY LIMITS OF PINE BLUFF. HE WAS WAITING FOR THE OWNER TO ARRIVE TO OPEN THE GATES SO HE WAS STILL OUTSIDE THE GATES IN A PUBLIC STREET AREA. 11. 3-31 - NETA LEE ADAMS - 81 - WASHINGTON GA - FOUND DEAD IN A DITCH - THE CORONER RULED SHE HAD DIED FROM MULTIPLE DOG BITES - BREED UNKNOWN. 12. 4-14 - KENNETH LAWRENCE FORD - 79 - PAHRUMP NV - ATTACKED BY 3 PIT BULLS ON MARCH 13, HE DIED ON APRIL 14 FROM HIS SEVERE INJURIES. 13. 4-19 - BRAYDEN WILSON - 2-MONTH-OLD INFANT BOY - DALLAS TX - THE BABY WAS IN HIS BOUNCY SEAT. HIS FATHER WAS WITH HIM AND HIS MOTHER WAS NOT HOME - THE FATHER WENT OUTSIDE TO TURN ON A SPRINKLER AND WHEN HE CAME BACK IN, THE FAMILY PIT BULL WAS MAULING THE BOY WHILE HE SAT IN THE BOUNCY CHAIR. 14. 5-2 - GAEGE ANTHONY RAMIREZ - 7 - CANYON LAKE TX - MAULED BY AS MANY AS 5 UNKNOWN BREED DOGS AT A HOUSE IN CANYON LAKE TEXAS WHERE HIS MOTHER HAD TAKEN HIM TO VISIT. 15. 5-25 - JAMES W. NEVELS III - 5 - CHICAGO IL - THE BOY WAS VISITING IN A HOME WITH HIS MOTHER - A PIT BULL (OWNER NOT KNOWN AT THIS TIME) WAS AT THE RESIDENCE AND WAS BEING KEPT IN A BEDROOM BUT IT "SOMEHOW" GOT TO THE BOY AND GRIPPED DOWN ON HIS NECK AND SHOULDER - HEROS - 2 TEENAGE BROTHERS CAME WITH EVERY OBJECT THEY COULD FIND AND BEGAN BEATING THE PIT BULL - A CHAIR, A KNIFE, A ROCK, A POLE, A BRICK UNTIL THEY BEAT THE MUTANT TO DEATH....BUT IT WAS TOO LATE!!! 16. 6-28 - JORDON COLLINS-TYSON 'JO JO' - 3 - LAWTON, COMANCHE COUNTY OK - THE CHILD WAS BEING RAISED BY HIS GRANDFATHER AND THEY WERE AT HIS GREAT GRANDMOTHER'S HOUSE. IT WAS REPORTED THAT THE GRANDFATHER WAS WORKING ON A CAR THERE. SOMEONE NOT NAMED WAS WATCHING AFTER THE CHILD BY LOOKING THROUGH A WINDOW AS HE PLAYED IN THE YARD. WHEN THEY LOOKED AGAIN, THE BOY WAS BEING MAULED BY A PIT BULL. TWO DOGS WERE ON THE PROPERTY AND EXACTLY WHO OWNED THIS DOG HAS NOT BEEN NAMED YET. 17. 7-2 - NORBERTO LEGARDA- 83 - PECOS TX - THE ELDERLY MAN WAS FEEDING A RELATIVE'S PET DOG IN THEIR BACKYARD WHILE THEY WERE OUT OF TOWN WHEN 3 PIT BULLS ENTERED THE YARD AND BEGAN ATTACKING THE RELATIVE'S PET AND THEN TURNED ON THE MAN. BY THE TIME POLICE GOT THERE AND SUBDUED THE PIT BULLS, HE WAS ALREADY DEAD. 18. 7-7 - JOSHUA PHILLIP STROTHER - 6 - HENDERSON NC - NEIGHBORS ADOPTED A NEUTERED MALE PIT BULL ABOUT 1-YEAR-OLD FROM A SHELTER IN A NEARBY COUNTY AND THEY ALLOWED JOSHUA AS WELL AS THEIR GIRL ABOUT THE SAME AGE AS JOSHUA TO PLAY WITH IT - IT APPEARS THAT JOSHUA CLIMBED THE FENCE OF THE NEIGHBOR TO PLAY AND WHEN HIS MOTHER DISCOVERED HIM A FEW MINUTES LATER HE WAS COVERED IN BLOOD AND APPEARED TO BE DEAD. 19. 7-12 - ANNIE WILLIAMS - 71 - SHAKER HEIGHTS OH - SHE WAS PICKING UP HER 2 GRANDDAUGHTERS FROM THEIR FATHER'S HOUSE AND HAD A 13-YEAR-OLD RELATIVE IN THE CAR WITH HER. SHE EXITED THE CAR AND WAS ATTACKED IMMEDIATELY BY A PIT BULL WHO BELONGED TO SOMEONE WHO ALSO LIVED IN THE HOUSE. tWO MEN CAME AND TRIED TO PRY THE PIT OFF HER BUT COULD NOT AND ONE OF THEM GOT A GUN AND FIRED. THE DOG WAS POSSIBLY WOUNDED AT THIS TIME AND IT RAN INTO THE BACK YARD. OFFICERS SHOT THE DOG DEAD WHEN THEY ARRIVED. ANNIE WAS TRANSPORTED TO A HOSPITAL WHERE SHE DIED. 20. 7-24 - CAROLYN SUE LAMP - 68 - REDBIRD OK - SHE WAS FROM COWETA OK AND WAS WALKING ALONG PICKING UP CANS WHEN SHE WAS ATTACKED BY 4 DOGS - 3 PIT BULLS AND 1 ROTTWEILER. 21. 8-22 - PORSCHE NICOLE CARTEE - 25 - KILLED BY THE FAMILY PIT BULL THEY HAD OWNED SINCE IT WAS A BABY - IT WAS SAID TO BE AN UNNEUTERED MALE ABOUT 10-YEARS-OLD - A FRIEND HAS REPORTED THAT THE PIT BULL HAD ATTACKED THE MOTHER BEFORE PUTTING HER IN THE HOSPITAL BUT THEY NEVER REPORTED THE ATTACK TO OFFICIALS - THIS TIME IT BEGAN BY ATTACKING THE MOTHER AND NICOLE WENT TO HER AID AND IT TURNED ON HER - ANOTHER WOMAN IN THE HOME FINALLY GOT THE PIT OFF HER AND CALLED FOR HELP BUT SHE WAS FATALLY INJURED. 22. 8-24 - CATHY WHEATCRAFT - 48 - MOCKSVILLE DAVIE COUNTY NC - THE WOMAN WALKED OUT TO HER MAILBOX SOMETIME BEFORE 7PM ON MONDAY EVENING AND THE NEIGHBOR'S PIT BULL ATTACKED AND KILLED HER - ANOTHER NEIGHBOR WAS INJURED COMING TO HER AID - IT WAS REPORTED THAT THE PIT BULL JUMPED OUT OF THE WINDOW OF ITS OWNER'S HOME - THE OWNER WAS NOT AT HOME AT THE TIME - THE PIT BULL HAD PREVIOUSLY BEEN DECLARED "A NUISANCE" FOR ESCAPING ITS HOME AND ATTACKING ANOTHER DOG. 23. 9-4 - BARBARA MCCORMICK - 65 - BILLINGSLY AUTAUGA COUNTY AL - CORONER'S REPORT STATES CAUSE OF DEATH WAS FROM DOG ATTACK FROM THE FAMILY PETS DESCRIBED AS SHEPHERD MIX AND OR RETRIEVER MIX - THERE ARE NO WITNESSES BUT THE SHERIFF SPECULATES THAT THE SMALL, ELDERLY WOMAN WAS IN POOR HEALTH AND MAY HAVE BEEN FEEDING THE DOGS WHEN THEY GOT INTO A FIGHT OVER FOOD AND TURNED ON HER. FACEBOOK PICTURES OBTAINED FROM HER SON'S PAGE SHOWED A LARGE PIT BULL IN THE HOME. 24. 9-8 - EMILIO RIOS SR - 65 - NORTH SHORE RIVERSIDE COUNTY CA - 2 PIT BULLS ATTACKED AND KILLED HIM AS HE WAS WATERING HIS FLOWERS IN HIS YARD AND LEFT A WOMAN WHO TRIED TO HELP HIM SERIOUSLY INJURED AND IN THE HOSPITAL. 25. 9-22 - CARMEN REIGADA - 91 - MIAMI DADE FL - NEIGHBORS SAY THE 3 DOGS - AN AMERICAN BULLDOG, A RHODESIAN RIDGEBACK, A LAB MIX - BELONGED TO HER GRANDSON -SHE WAS ATTACKED AT HER HOME AROUND 4PM IN THE AFTERNOON ON TUESDAY. 26. 9-29 - LAMARKUS HICKS - 2- BAKER HEIGHTS WV - IT APPEARS AT THIS TIME THE CHILD WANDERED INTO A NEIGHBOR'S YARD WHERE A DOG WAS KEPT AND THE OWNER OF THE DOG FOUND THE CHILD AFTER HE WAS MAULED - THE VICTIM WAS TAKEN TO A LOCAL HOSPITAL THEN LIFE FLIGHTED TO A LARGER FACILITY WHERE HE DIED. ONE WOMAN COMMENTING ON THESE STORIES SAYS HER MOTHER LIVES IN THE HOUSE IN BETWEEN WHERE THE CHILD LIVED AND WHERE THE ATTACK OCCURRED AND THAT THE CHILD PLAYED OFTEN WITH ALL THE CHILDREN IN THE AREA. SHE SAYS THE DOG WAS A PIT BULL. 27. 10-16 - EDGAR BROWN - 60 - OKLAHOMA CITY OK - ON OCTOBER 6 HE WAS ATTACKED BY 5 PIT BULLS AT A FRIEND'S RENTAL HOUSE - HIS BROTHER SAYS HE HAD BEEN ASKED TO GO OVER AND TAKE OUT GARBAGE FOR THIS FRIEND - THE DOGS APPARENTLY GOT THROUGH A HOLE IN A FENCE AND ATTACKED HIM IN THE FRONT YARD - HIS ARMS AND LEGS WERE SHREDDED AND BOTH LEGS HAD TO BE AMPUTATED AND PART OF AN ARM DUE TO INFECTION FROM THE DOG BITES AND HE ALSO SUFFERED A HEART ATTACK AND UNDERWENT HEART SURGERY - HE DIED ABOUT 2 WEEKS LATER. 28. 10-18 - TANNER SMITH - ON TUESDAY HE WOULD HAVE BEEN 6 YEARS OLD - THE BOY WAS WITH HIS MOTHER ON SUNDAY VISITING AT A FRIEND'S HOME WHEN HE WAS ATTACKED BY 2 PIT BULLS - HE WAS BITTEN ABOUT 16 TIMES INCLUDING A BITE TO THE MAIN ARTERY IN HIS NECK. 29. 11-8 - AMIYAH KAYLA DUNSTON - ELMONT NY - THE CHILD WAS FROM BALDWIN NY AND HAD BEEN TAKEN TO THE HOUSE IN ELMONT EITHER TO VISIT HER BIOLOGICAL FATHER, OR FOR A PLAY DATE WITH OTHER CHILDREN - BOTH HAVE BEEN SAID IN MEDIA ACCOUNTS - SHE WAS PLAYING ON THIS SUNDAY MORNING WITH 2 OTHER GIRLS WHEN THE PIT BULL THAT WAS OWNED BY A RENTER THAT LIVED IN THE UPSTAIRS ATTACKED HER - A WOMAN FROM THE DOWNSTAIRS APARTMENT WAS UNABLE TO PULL THE PIT OFF HER - OTHER NEIGHBORS TRIED TO GET IT OFF HER BUT WERE UNABLE - WHEN POLICE ARRIVED AN OFFICER SHOT THE PIT BULL AND THE CHILD DIED A FEW HOURS LATER AT THE HOSPITAL. 30. 11-12 - ANTHONY RIGGS - 57 - FAMILY MEMBERS DESCRIBE HIM AS A DOG LOVER AND HE HAD HAD MANY LARGE DOGS BEFORE - HE HAD ADOPTED THIS DOG SAID TO BE A ROTTWEILER ABOUT 3 HOURS EARLIER - IT ATTACKED HIM IN HIS HOME AND ATTACKED OTHERS AS THEY TRIED TO COME TO HIS AID - THE DOG WAS FINALLY PUT DOWN. 31. 11-15 - CARTER EVAN HARTLE - 11-M0NTHS-OLD - MARSHALL NY, THE DOG IS SAID TO BE A PIT BULL/SHAR PEI MIX NOW - THE MOTHER SAYS THE BABY WAS IN THE LIVING ROOM WITH HER 3 OLDER DAUGHTERS PLAYING WHEN SHE TURNED AWAY TO DO SOMETHING, THEN HEARD THEM ALL SCREAM AND THE DOG HAD THE BABY BY THE HEAD AND NECK. 32. 12-2 - XAVIER STRICKLAND - 4 - DETROIT MI - THE CHILD WAS WALKING DOWN THE STREET WITH HIS MOTHER WHEN 4 PIT BULLS ATTACKED HIM AND DRAGGED HIM BACK UNDER A FENCE AND SHREDDED HIS TINY BODY IN FRONT OF HIS MOTHER AND NEIGHBORS WHO RAN TO HELP. 33. 12-3 - REBECCA HARDY - 22 - PORT HURON MI - MAULED IN A BACKYARD BY A PIT BULL AND A PIT BULL/HUSKY MIX - SEVERE INJURIES TO FACE AND NECK. Didn't Michigan recently change their statute to make breed discrimination illegal? I mean, in the name of human safety, and making things better, right? Not working out so well, is it? I guess there's a lot of questions as to why this young women entered the yard where she was killed. Was she trespassing? Did she belong there? I have no idea, but, so what. There is this ideology that has developed with pit bull culture that tells us that dogs should defend their territory. And they should, but to kill a person is such a huge over-reaction that it should not be considered normal. Older readers on here will remember the good old days when getting bit by a dog was just that- you got bit. If you jumped a fence or went through a gate and there was a dog, it barked, growled, and maybe bit you. It didn't kill you. This should not be considered normal. Dogs should not kill people, even if they are trespassing, or yelling at their owner, or whatever. That this has become acceptable is terrifying. A whole new standard of acceptable dog behavior has developed that blames the victim for the insane over-kill that pit bulls inflict. This is wrong in so many ways that I am at a loss to understand why it even has to be pointed out in the first place. There shouldn't need to be a discussion about it. People should just know that their pets should not kill people.